One of the most satisfying blog posts I've written to date has been a profile of The X-Streams, an Arizona-based ska band that played a part in the Los Angeles ska scene of the early 80's that flourished around the O.N. Klub. Their story is one that continues to draw me in. Perhaps because they came so close to success before self-destructing. Perhaps because they brought an energy and intensity that was both mesmerizing and a little bit frightening to those who saw and heard them. Perhaps because for one brief moment they may have been the best hope for what an American 2-Tone era ska band could have been. The band coalesced around Bob Steinhilber (drums), Peter Tessensohn (bass), Steve Kriol (guitar) and Lorraine Springer, a young woman from Trinidad on lead vocals. 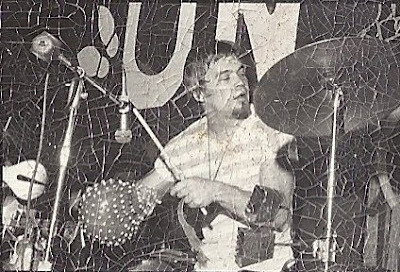 Springer had met Kriol in California and travelled with him to Arizona to start the band. The addition of local guitarist Kurt Mayberry was the final ingredient that took them to the next level, but also complicated their future. 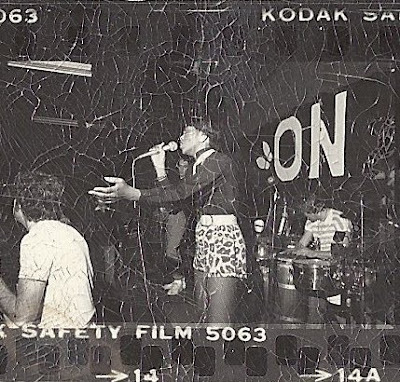 Much like Pauline Black and Neol Davies in The Selecter, it was the vocal interplay and energy between Springer and Mayberry that set The X-Streams apart and captured the attention of LA-based producers and music industry veterans, who for a short time, were captivated by the band's live energy and their edginess. Shortly after posting my original story about The X-Streams, I connected with Peter Tessensohn. We've stayed in touch since and Tessensohn has been very generous in sharing old pictures and unreleased music with me that the band recorded during the early days. As an original member of the band and the one who was closest to the late Kurt Mayberry, he has a unique perspective on the early days of the band as well as later versions of the band that played together into the early 90's. He recently took time to share his memories about the band and to tell me more about the band's memorable shows at the O.N. 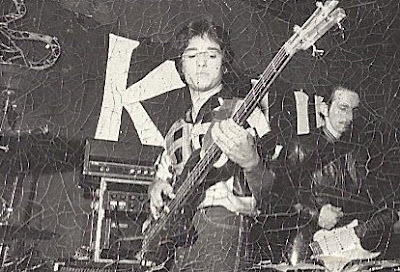 Klub in Los Angeles in 1980. He also shared a treasure trove of never before seen pictures of the band at that O.N. Klub show and a song from a Warner Brothers record demo and gave me permission to post them. The pictures alone are worth an exhibition about the O.N. Klub's history. Until that happens, they provide a glimpse into the band at its peak and capture their intensity. Can you tell me about your introduction to music and ska music in particular? I started playing music in high school with my friend Kurt Mayberry in the front yard of my house with acoustic guitars in mid 1973-1974. My introduction to ska and reggae music came about by accident. 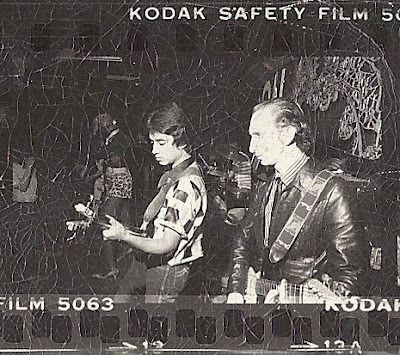 Back in 1979, Mayberry told me he was playing in a band that was beyond Punk Rock but he could not describe it. He told me it was right up his alley and he enjoyed the offbeat rhythms which complimented his own unique style of guitar playing. How did the X-Streams get started? Did you know the other members of the band beforehand? Why did you decide to call the band The X-Streams? As I remember, founding members:Loraine Springer –lead vocals & front person, Steve Kriol – rhythm guitar, Bob Steinhilber – drums, Kurt Mayberry initially played bass at the first gig and immediately thereafter on vocals, rhythm and lead guitar. Kurt invited me to come about and analyze this new unfamiliar music during a rehearsal session, located at a place known as “The Hate House”. Upon arriving, I noticed a bass guitar leaning against a fender bass amp with two fifteen inch speakers, but no bass player. It practically had my name written on it. “This is a set-up” I thought and reluctantly agreed to play for that practice session only, Kurt and members of the band were praising me “on very fine job I was doing” with Bob Steinhilber saying out loudly “You’re in the band”. Loraine creatively entitled us The X-Streams, specifying the “X” having five focal points with her in the “center”. Where did the band fit into the Arizona music scene of the early 80's? We fit right up there with the New Wave, Reggae/Ska and Punk scene. The genre of music we performed in roster was versatile, not classified in just one. Would you describe The X-Streams as a ska band, a reggae band, or a mix of both? Did any bands or musicians influence you? A mixture of both and embedded with our own unique style. We also covered different genres of music in our song writing as I do now to this day. Kurt Mayberry was a great influence on me due to his unique guitar playing in rhythmic articulation. Man do I miss him. He was a best friend forever, and he gave me the opportunity to indulge in music. Kurt had a natural talent for playing all musical instruments. We were influenced by bands like The Police, Bob Marley, UB40, Toots and the Maytals, The Beatles to name a few. 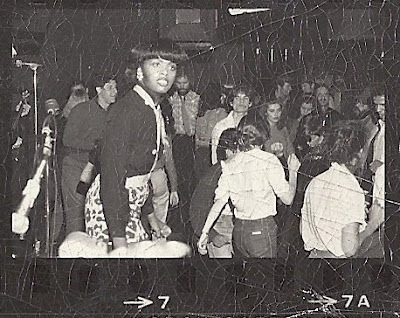 What was it like to be in a racially mixed band in Arizona in the early 80's? This is a state would not make Martin Luther King's birthday a state holiday for some time. Being in a racially mixed band had no consequence at all. Music breaks the prejudice of racial indifference from my experience. I only had good feed back here in Arizona and L.A.
What was your first show at the ON Klub in LA like? 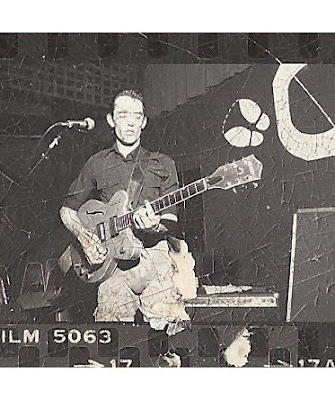 How important were your early shows at the ON Klub to the success of the band? The first show at the O.N Klub in the Silver Lake section of LA. was great and sold-out with SRO. We had a great booking agent/promoter named John Sutton-Smith get a picture of us in the LA Weekly (see picture above). Roger Steffens of radio station KCRW played our demo tape on the air and plugged the show. He even showed up for our show that night and introduced us on stage as he did for numerous shows. That very same night Paul Wexler (son of late Jerry Wexler) was there to catch both shows. Paul had recently produced The Go Go’s 'We Got the Beat' album and was considering us for a recording deal of some sort with Warner Brothers Records. Though we never signed, we did record a demo of 4-5 songs that Paul Wexler produced. One of those songs was our version of Sugar Minot’s “Hard Time Pressure” with Loraine on lead vocal. Years later, we re-recorded the song again with Kurt Mayberry on Vocals. Tell me a bit about the early song writing process. Who wrote the songs on your first two singles? Rhythm of Life is a great song and the interplay between Lorraine and Kurt is fantastic. Though Kurt and I had a number of original compositions, Loraine liked the songs of reggae greats and we covered the song “Rhythm of Life”. Yes, the interplay was fantastic. The band had a reputation for putting on a great live show. Do you any have memories of any shows is particular that stand out? The O.N. 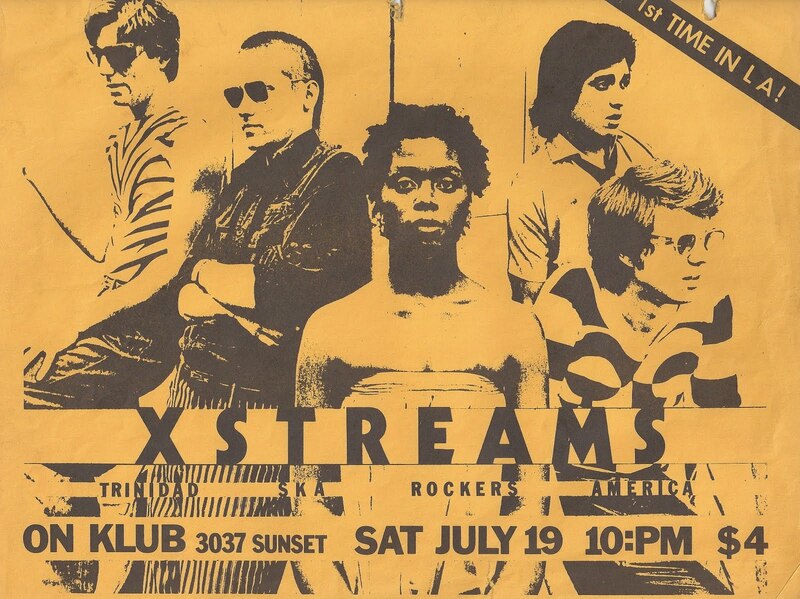 Klub shows were my favorite at time the original lineup of band members of The X-Streams. Kurt and I went on with the band after Loraine, Bob, and Steve moved on, with a new line up. Why did Lorraine leave the band and how did that change the band dynamic? Lorraine left due to relationship matters within the band and business aspects. 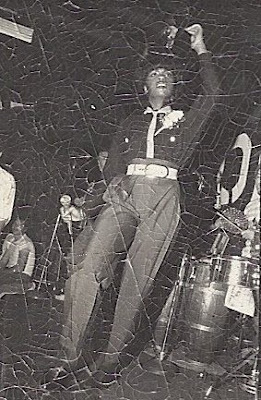 The dynamic’s of the band was that we no longer had a front person as impressionable as Lorraine. Yet, the composition of music we wrote and covered excelled over the years. Despite the many trials and tribulations the band endured what do you think its legacy is? I never pondered on a legacy; we presented a performance on stage. Combing genres of music entwined with our groove and style made a unique sound of music. Are you still involved with music these days? Yes, I hope to release a compilation of songs Kurt and I recorded over the years and that of my own in recent. That is still in form, style, and groove of my upbringing, originals, and covers. Below is a link to download the song 'Hard Time Pressure' that was part of a demo recorded by the band with Paul Wexler that Tessonsohn shared with me. 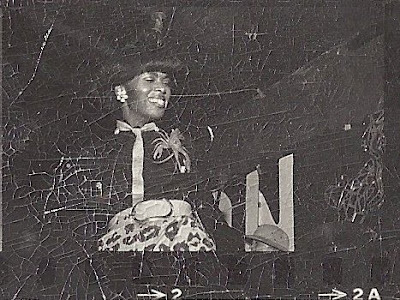 It features the unmistakable co-lead vocals of Mayberry and Springer and showcases the amazing musical promise the original line-up exhibited. 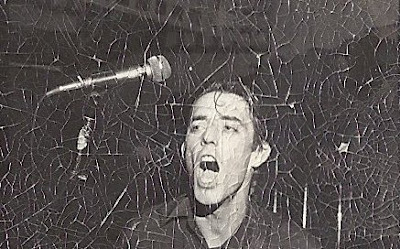 The song itself is an autobiographical account of the band's experiences trying to make it in Los Angeles ('Say Hollywood put on the pressure/hard time pressure'). 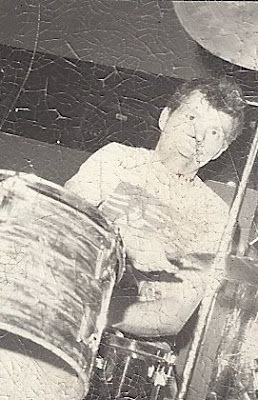 After the original version of the band fragmented, Mayberry and Tessensohn persevered and The X-Streams became mainstays of the Arizona music scene. Along with a rotating series of musicians they continued to record great ska and reggae-influenced songs. Below is a recording of 'Appeared To Be' featuring Kurt Mayberry on vocals and guitar,Peter Tessensohn on bass and Pat Sweeney on drums (who replaced Bob Steihilber on Drums in 1985) and 'Push & Shove' that was recorded with the horn section of The Untouchables. The songs shows the progression of the band from its origins but showcases Mayberry's voice and guitar playing (check out his solo on 'Appeared To Be') as well as the way he channeled his life experiences into his song writing. You can get more information about The X-Streams and Tessensohn from his Web site. Just great. To bad he only gave you that one song, I would love to hear the others from the recording session. Hi Tequila. Thanks for the comment. There is no doubt that the band suffered from some self destructive tendencies. Have a read of an earlier post about the band's tendency to do so. Ah, Yes indeed Tequila, you did book us at the O.N. Klub that night. My apologies. Oh hey allright. Very happy to find more on the X-Streams! Thanks Singer! Great to hear from you. I'm in touch with Peter (bass) and Bob (drums) as well as Lorraine and her daughter. I'm happy to share their contact information if you want to connect with them.